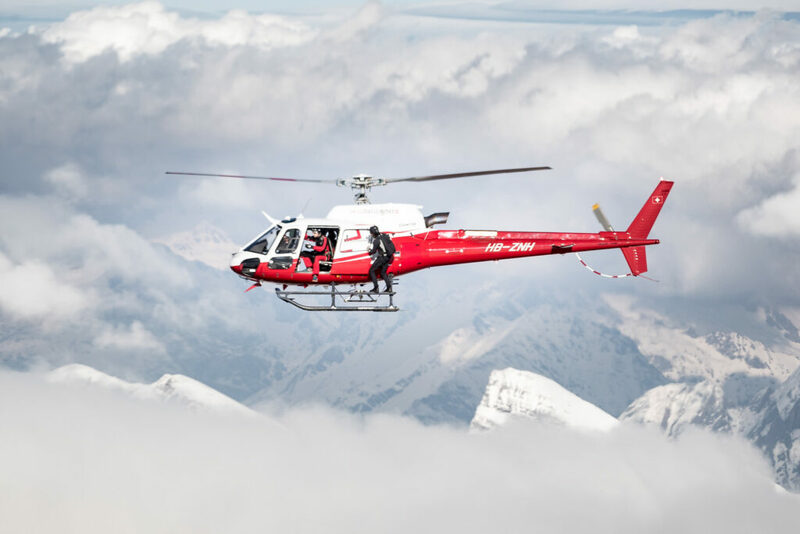 McFlurry Stunt #1 – Jumping from 4000 feet with an ice cream! 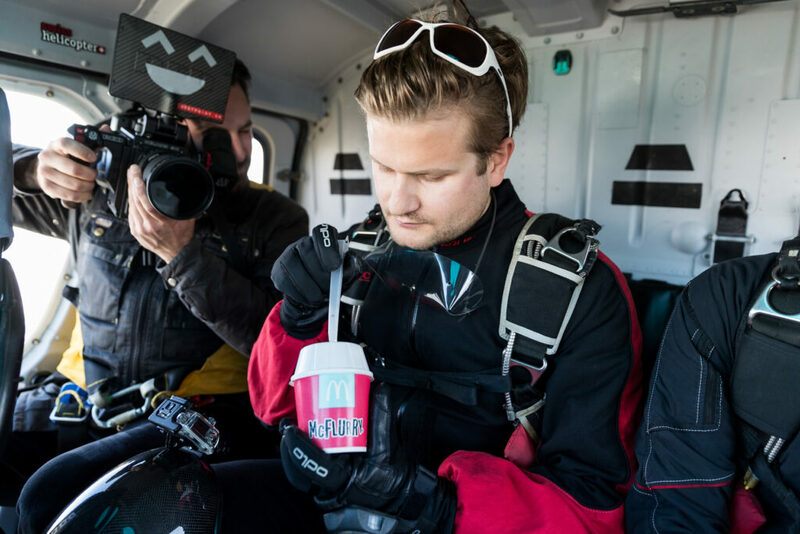 Ever tried eating a McFlurry while skydiving from a helicopter? One of the most fun stunts we filmed … But, whoever tried to eat an ice while skydiving can tell: It’s a mess! 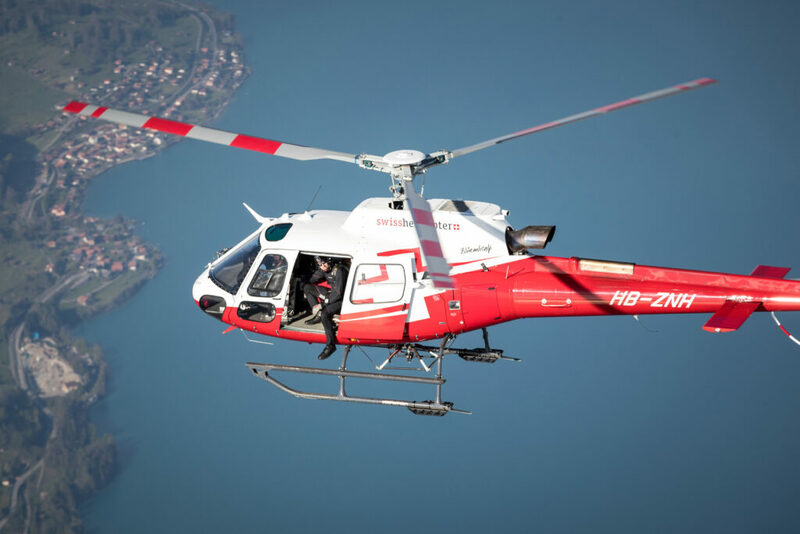 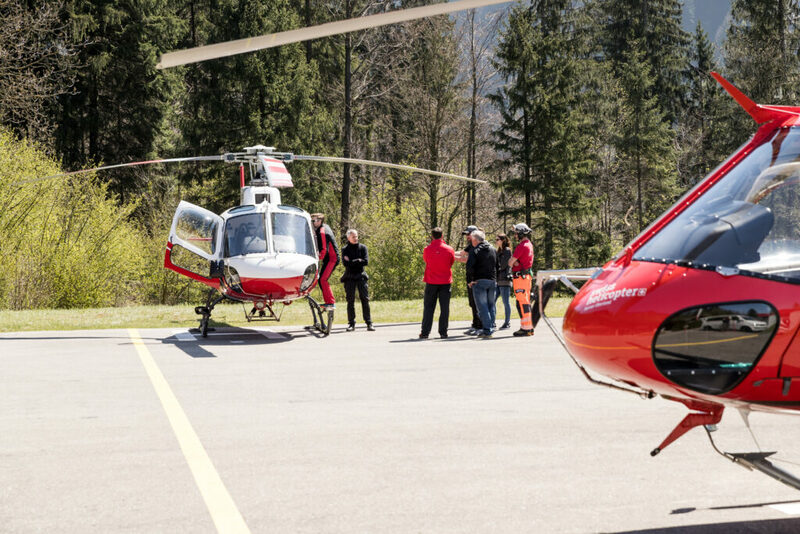 So we chartered 2 helicopters from Swiss Helicopter (great guys!) 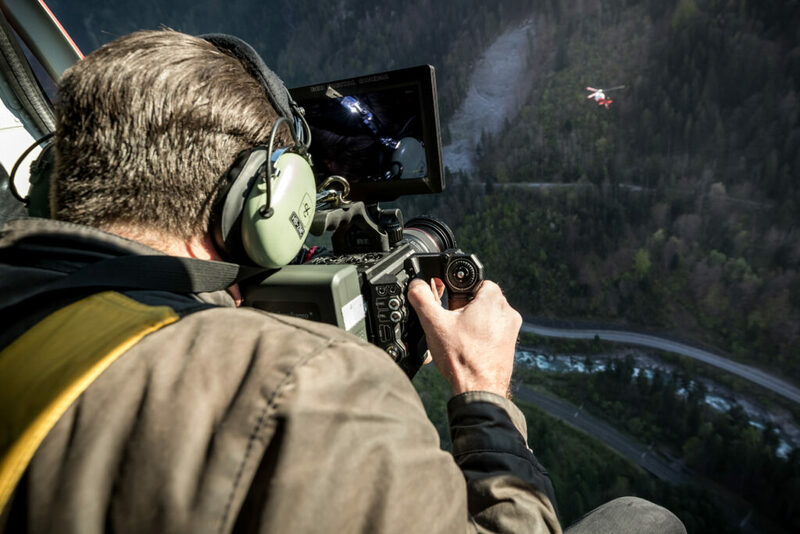 and took off several times with two professional skydivers, one of which geared up with 2 cameras on the helmet and wrist to film his colleague jumper eating the McFlurry. 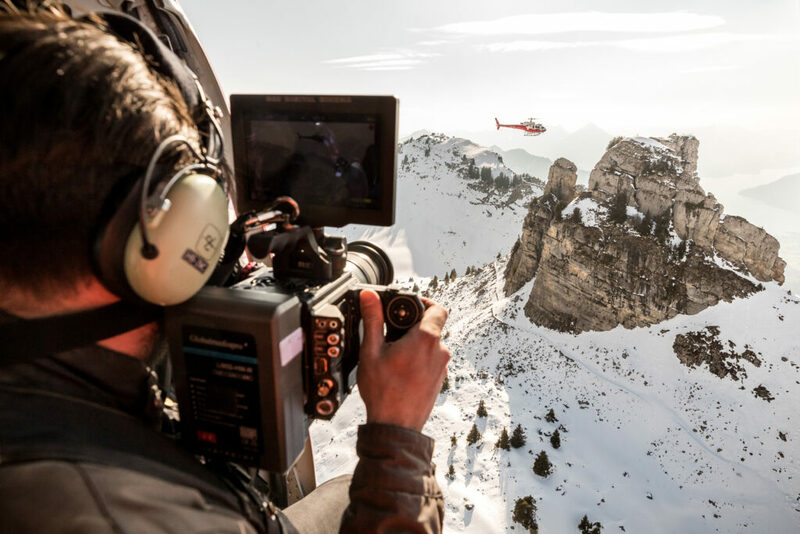 The most tricky part was filming the ‘exit’ of the jumpers on 4000 feet above sea level, where the cameraman (Urs) had to lean out of the helicopter to get an attractive angle. 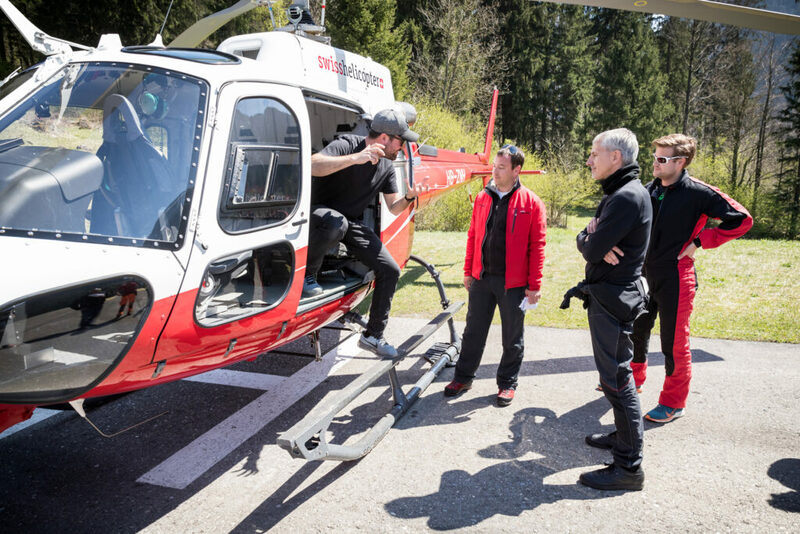 To meet the strict security measurements by the helicopter pilot and ground control, we had to prepare the cup with a lightweight foam and added the ice cream on top – this way, in case the skydiver had to throw the McFlurry away (was velcro’ed to his hand) it would not damage people or property bellow or harm the helicopter’s blade.